Many criticized these statements as inappropriate, while others applauded the pair for pointing out an injustice. CBC Opinion asked two lawyers to weigh in on the debate. Vancouver lawyer Manjot Hallen (left) and Toronto lawyer Sean Robichaud (right) debate government tweets on the Colten Boushie verdict. Prime Minister Justin Trudeau and Justice Minister Jody Wilson-Raybould took to Twitter last week after a Saskatchewan jury found Gerald Stanley not guilty of second-degree murder in the shooting death of Colten Boushie. Many criticized these statements as inappropriate, while others applauded the pair for pointing out an injustice. 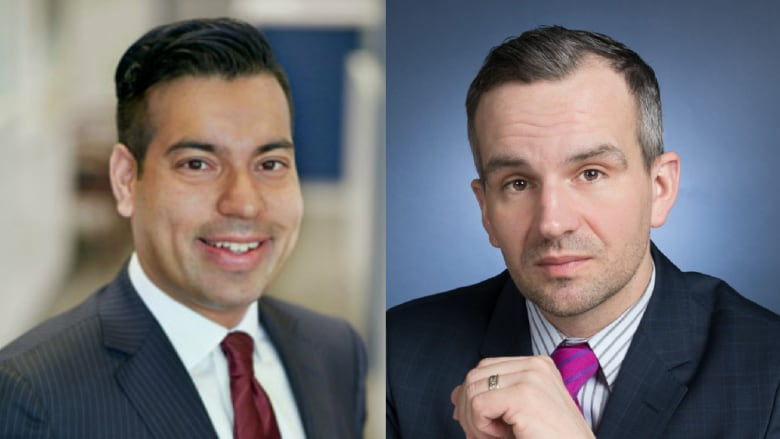 CBC Opinion asked Toronto lawyer Sean Robichaud and Vancouver lawyer and Manjot Hallen (who is also the president of the Liberal Party of Canada for B.C.) to weigh in on the debate. What was your initial reaction to the tweets from the prime minister and justice minister following the Stanley verdict? Sean Robichaud: It is always surprising to me to see a political leader, or any elected official for that matter, directly or indirectly challenge or undermine a verdict of a court. This is especially so of a jury who, unlike judges, are citizens who have sworn to balance the evidence impartially, without bias, and deliver a fair and just verdict. Do you think the tweets were inappropriate, then? Sean Robichaud: Absolutely. As I have said elsewhere, it is wholly inappropriate for elected officials to publicly undermine findings of a lawfully delivered verdict; particularly when it is one of a jury. The response is to silently appeal, not to publicly shame. Manjot Hallen: I think they were appropriate under the circumstances. Neither the prime minister nor the attorney general challenged the verdict and/or the findings of the jury. Rather, they identified a concern about the process and began a long overdue discussion about improving our justice system. Sean Robichaud: I, like many Canadians hearing these comments, simply don't accept that. By the minister's own words, she made the issue about the verdict, about the deceased and about the justice delivered in that case. I see anything otherwise as just an attempt to back away from what was in many people's eyes a direct criticism of the justice delivered in this case. Manjot Hallen: Again, I disagree with my friend. Wilson-Raybould was expressing her sympathies for the Boushie family. Furthermore, she confirmed what many Canadians feel: that our justice system can and must do better. It is the attorney general's role to identify areas where our justice system can be improved. That extends beyond this case. She is not weighing in on this jury's verdict, but rather, looking to improve our system and find ways to remove any systemic bias. It seems as though those in the legal community especially are more upset with Wilson-Raybould than with Trudeau. Why is that? Is it because of the role she occupies or what she actually said (or both)? Sean Robichaud: The minister of justice plays a very special role that is far more aligned with that of a justice official than a politician. It is incumbent upon that person not only to ensure that the rights of all Canadians are protected, to ensure that the law is followed despite political leanings, but most importantly, to ensure to do everything in his or her power to maintain confidence in the justice system. What is most upsetting is that these comments can have a very corrosive and irreversible effect upon that confidence that is necessary for our democratic institutions to survive, let alone thrive. Manjot Hallen: I agree about the role of the minister of justice. But the actions and the discussions that are taking place in Ottawa today are reflective of an attorney general who is looking to find ways to improve our system such that the rights of all Canadians are protected, regardless of race, gender or sexual orientation. Doing nothing to address a potential problem would be more corrosive and undermine the confidence in our system. Sean Robichaud: I agree with that sentiment entirely, Manjot. However, there are far better ways to go about it than springboarding off of a particular verdict that has the consequence of undermining the justice system as a whole. As a result, you have people on the right, left and centre all agreeing that the "justice system doesn't work," which leaves politicians with the temptation to take over that role of the judiciary through demagoguery and populist appeal. Do you think it matters that these statements were made on Twitter versus, say, in a scrum? Manjot Hallen: I don't think the fact that initial reaction was via social media makes a difference here. The Prime Minister spoke to media and took questions shortly after the initial response. I'd add that the criticism of Trudeau and Wilson-Raybould has not been from the legal community. In fact, those I have spoken with have been supportive of our government looking into ways to improve the administration of justice. The only criticism is from the Conservatives. They attack the government for addressing a problem, but make no suggestions for a solution. Sean Robichaud: I think Twitter can be dangerous because it can lose the inflection that may come across in interviews. It also allowed for a relatively quick reaction, which didn't help with the optics and the subsequent statement that it wasn't about this case in particular. Whether in a scrum or not, the issue is that politicians should do everything they can to respect the convention to not comment on cases, or even give the appearance that they are. This convention is based upon the tangible and serious negative effects it can have as seen here. Speaking of tangible effects, what influence, if any, will these tweets have if the Crown decides to file an appeal? Manjot Hallen: The tweets will not affect the court of appeal's analysis. It is as simple as that. Sean Robichaud: I anticipate that if the Crown appeals and is successful, then a defence lawyer would raise the issue that Stanley's s.11(d) Charter rights have been irreparably prejudiced by political interference that would render any future jury verdict tainted. If it was me, I would ask for a stay of proceedings on this basis. I also believe that such an application would have considerable chances of success. As such, even if a new retrial is granted, Boushie's family may forever be prevented from justice by these words alone. Therein lies the tragic irony to it all. Manjot Hallen: The defence could make whatever argument they like. I just don't see this argument being successful in the case. Again, I note the prime minister and attorney general never commented on the specifics of this case, but rather opened a discussion about issues related to potential bias in our justice system. Given the amount of media coverage this case has garnered, any tweets would only be a minor and not-material consideration in light of the overall public discussion. Sean Robichaud is a criminal defence lawyer and lead counsel to Robichaud's in Toronto. He is certified specialist in Criminal Litigation by the Law Society of Ontario. Manjot S. Hallen is a founding partner at Warnett Hallen LLP in Vancouver. He is a member of the Law Society of B.C. and the Trial Lawyers Association of B.C. and president of the Liberal Party of Canada for B.C. He is a frequent lecturer and commentator on legal and political issues in Canada. 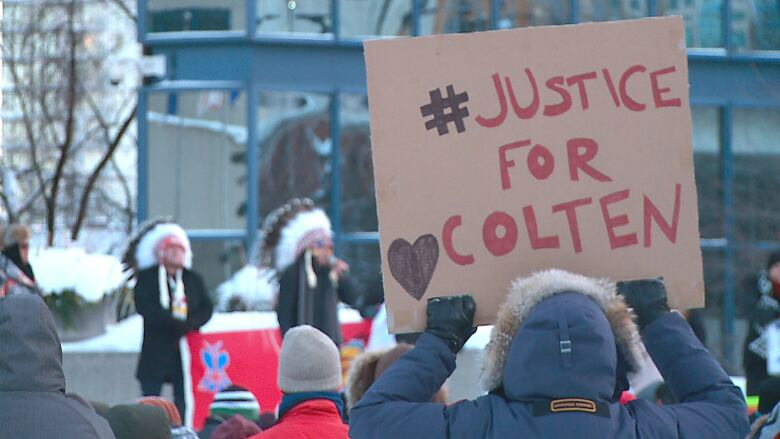 Colten Boushie's death, Gerald Stanley's acquittal: Does Canada have a jury problem?